Living In Edmonton has its drawbacks. Mainly the extremely short summers and bone-chilling cold winters. There are a few steps that can be taken to make the winters that little bit easier. Does warm floors in your basement, garage, patio and driveway sound like it would help you cope in -25-degree weather. The system that heats the floors is known as slab radiant heat or radiant floor heat. The radiant heat system heats the concrete floor making it a lot more bearable for people who suffer from sore ankles or young kids playing on the floor. When it comes to these systems, you want it installed by someone with experience as it doesn’t take much to make the system ineffective. We install slab radiant heat systems in both new homes and homes being renovated. 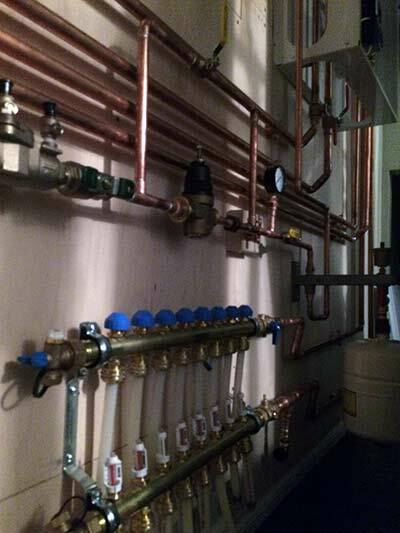 There is quite a bit of preparation that has to go into the installation of a system, as its needs to be all installed prior to the concrete being poured. If you do opt for the heated slab system, there are some extra permits and inspections that are required in Edmonton. We will organize all of the permits, tests, and inspections, and the price will be included in the quote. 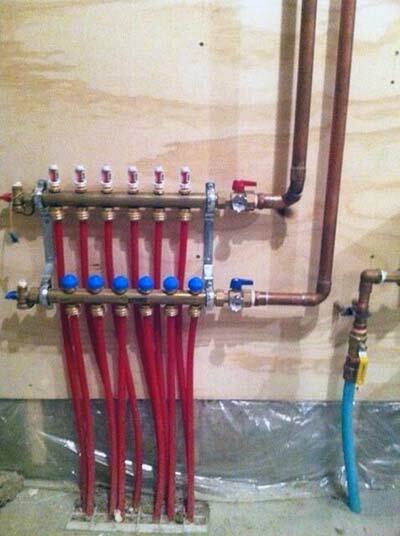 There are a few reasons to go with an experienced Hydronic radiant slab heating expert in Edmonton. Firstly if the size of the system is too small, it will be ineffective in combating the cold. If it’s too large, it will be overkill. The actual process of laying the pipe in the concrete is another reason as if the pipe is not layed in a correct way it can also be the reason for cold floors. If you are planning on building a house now or in the future, and you want to be cozy, consider radiant slab heating. Talk to the leading hydronic contractor in Edmonton and get all of your questions answered. Want an energy efficient alternative?